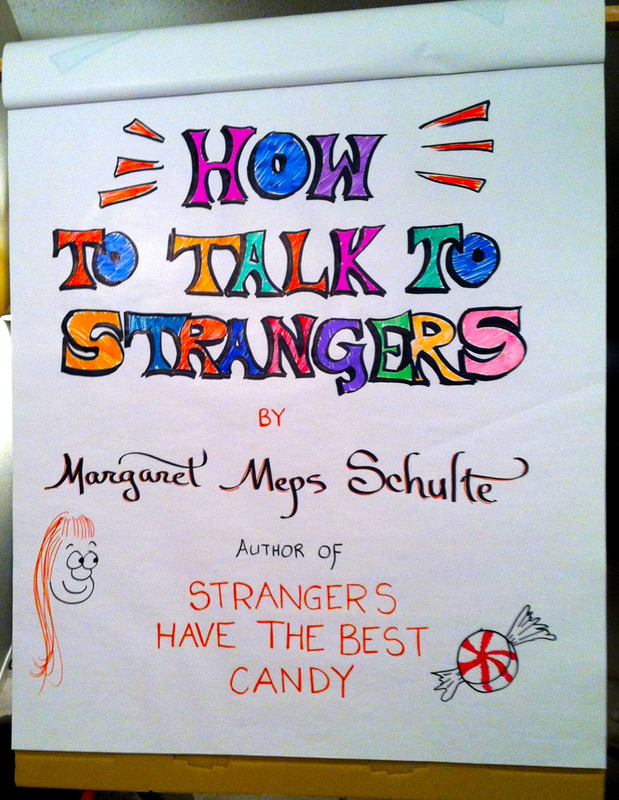 Margaret Meps Schulte, the author of Strangers Have the Best Candy and The Joyful Bear, is a lively, humorous speaker who speaks at venues all over the United States. 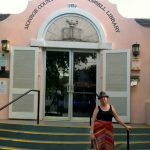 Her original giant cartoons and audience participation have left audiences laughing, crying, and talking to each other from literally one corner of the country to the other — Bellingham, Washington to Key West, Florida, with stops at all points in between. Prior speaking engagements include the Global Diversity and Inclusion Department at Columbus State Community College, the Center Camp Speaker Series at Burning Man, and the 2017 Ohio SIBS Annual Conference. 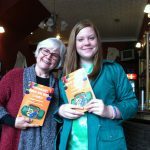 Meps has shared her positive, uplifting messages with audiences of all sizes at Rotary clubs, conferences, libraries, bookstores, arts events, tearooms, coffee shops, and of course, candy stores. 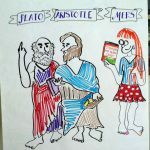 3 Philosophers: Plato, Aristotle, and … Meps? The unique and colorful presentation that everyone loves! 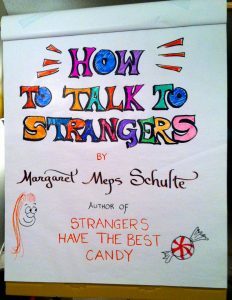 Using an interactive, humor-filled format, Margaret Meps Schulte shares lessons about how to talk to strangers and make lifelong friends through chance encounters. She invites the audience to set aside judgment and look for connection and serendipity in their own lives. Watch a sample on YouTube. Ten Things I Learned from my Teddy Bear. 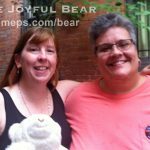 Meps takes the stage with Frank Lloyd Bear in this heartwarming presentation on the key lessons of teddy bear philosophy. 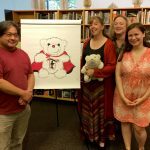 Illustrated with giant teddy bear cartoons, it’s especially good for audiences seeking strength and peace in the face of adversity. Young adult audiences will sit up and take note at this super-lively presentation. For years, they’ve been told never to talk to strangers. But that rule doesn’t apply to adults. 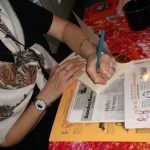 Margaret Meps Schulte provides encouragement and tips for college-age and 20-somethings as they begin to interact with strangers as adults. Meet Charlie, the man with the cat on his head. Peek into the garage of the man with more money than God. Marvel at the woman who turned down a free house. Hear about “that one time at Burning Man,” and much more. Are you tied to a house and a job? Do you want to learn what it’s like to live free and travel around, untethered by routine and responsibilities? Margaret Meps Schulte will discuss the emotional and psychological challenges of 15 years of nomadic life. Living on a boat ranges from sublimely romantic to terrifying to downright uncomfortable. Hear what it’s like to move onto a sailboat, live aboard for years, and then “swallow the anchor” and move ashore again. Please contact Margaret Meps Schulte for more information about programs, fees, and scheduling.